TLLT: Bodypainting Festival, We Were Just Talking About Octopuses! Bodypainting Festival, We Were Just Talking About Octopuses! 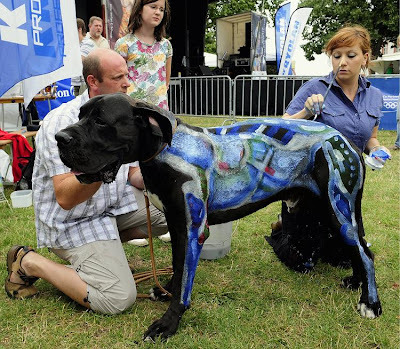 Sixty bodypainters from around the world converged on the German city of Mainz at the weekend for the Fifth International Bodypainting Festival. The models had to show stamina -- a painting can take up to 14 hours to complete. 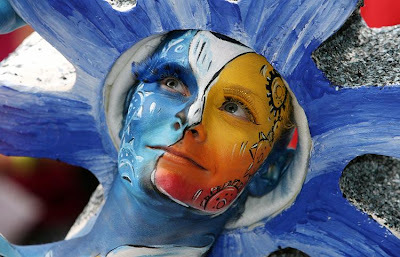 Bodypainters came to the German city of Mainz for the Fifth International Bodypainting Festival at the weekend to adorn models from head to toe with brightly colored and in many cases highly original artwork. It's a tough job for the models, some of whom have to sit or stand still for up to 14 hours. The artists competed in a number of categories including special effects, facepainting. The artists use airbrushes, sponges or normal brushes to paint the models.